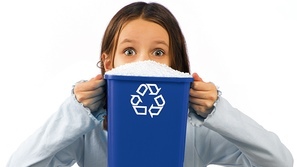 Expanded polystyrene (EPS) has many useful properties. It can be used as an insulator against heat and the cold. It is good at absorbing shocks and protecting delicate items for example your head when used as part of a cycle crash helmet. The outstanding shock absorbency and compression resistance provides excellent protection properties. 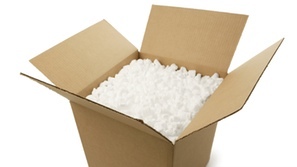 The exceptional durability of EPS makes it an effective and reliable protective packaging for a wide range of goods. There is no loss of strength in damp conditions, making EPS ideal for cool-chain products. The material is moisture resistant, so the highest hygiene requirements are met. EPS is made up of 98% air, making it a very lightweight material, its use for packaging does not significantly add to the weight of the total product. This in turn means that fuel consumption is improved and fuel emissions are lower than with heavier materials. The reduction in emissions means less impact on global warming. The thermal insulation properties of EPS help keep food fresh through the distribution chain. It is widely used to package fresh fish and for seed trays where it assists in the growth of the plants. It is also used by the pharmaceutical industry to package items that are temperature sensitive and that need to be transported around the world.